Survey: Is openSUSE Developer Friendly? "The openSUSE Project is proud to announce the 1.5 release of the openSUSE Build Service. This release takes developers beyond just building packages. You can now build your own distribution using the openSUSE Build Service!" "Once again, the openSUSE Project will be participating in Google's Summer of Code program! openSUSE was one of the 150 mentoring organizations accepted this year, and we're excited to have the chance to work with students on projects to improve the openSUSE distribution and its tools." "Stephan Binner reported on -announce that there’s a problem with the DNS for Planet SUSE at the moment. If you’re trying to reach Planet SUSE, you can still reach it at planet.opensu.se." "We visited Linuxtage Chemnitz and presented openSUSE at the booth (Stephan Binner and me) and via talks. It was a good show, they say about 2600 people were visiting and it was indeed quite full, including good visited talks. Also a very nice building with enough place for the show. This is some collected feedback what we heard there ..."
"I’m seeing a bit more interest in sending things to opensuse-announce lately, which is a good thing (in my opinion) but I’d like some feedback from other community members on what does and doesn’t belong on the -announce mailing list." "If you are a python developer and will need some querys in MySQL, please read this post. To begin, we will need an API to work with MySQL databases, I will use MySQLdb. We will need MySQLdb API installed on machine, I won´t talk about it now, please wait another post(very soon)." "openSUSE 11.1 doesn’t officially support an encrypted root file system which also means YaST doesn’t allow to create such a setup. By manually creating an encrypted partition and putting LVM into the encrypted container it’s however possible to trick YaST into accepting that as root file system." "Package management is probably the most distinctive feature of any Linux distribution. 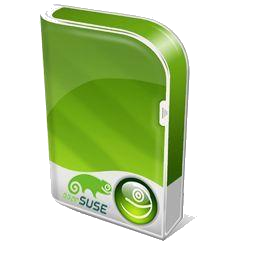 SUSE allows users to manage software using various methods. By default we have zypper, in addition we also have smart and pkcon. Below is list of common tasks and corresponding commands used to manage a package." "Gabriel Stein shares some Links to Python Documentations"
Jigish Gohil: Compiz 0.8.2 fully released!! "Packages for openSUSE 11.1 users running KDE4 Factory are available from XGL Repository." "Those that have been following my tweets and dents will have noticed I've been moaning about my todo list growing, and also the fact that I managed to misplace it a few times. I tend to use the great Tomboy for most of my note taking tasks, and tend to use Tasque with the EDS backend for my todo, this works well on my main laptop but not too well on my little eeePC due to space limitations which has led to a serious lack of any Mono love." "GNOME 2.26 is the latest version of the GNOME Desktop: a popular, multi-platform desktop environment for your computer. GNOME’s focus is ease of use, stability, and first class internationalisation and accessibility support. GNOME is Free and Open Source Software and provides all of the common tools computer users expect of a modern computing environment, such as e-mail, groupware, web browsing, file management, multimedia, and games. Furthermore, GNOME provides a flexible and powerful platform for software developers, both on the desktop and in mobile applications." "The KDE folks have created some brilliant bindings for Mono and .NET called Qyoto. But there is nothing like a polished application to really test the bindings. This week Eric Butler announced Synapse: an advanced Instant Messaging platform. ..."
"Every distribution has its own conventions to package scripting languages addons (perl modules, ruby gems, etc) as native packages. This allows packages to depend on those addons honoring the package dependencies, and at the same time, look like the addon was installed the scripting language tool (cpan, gem). ..."
"Lucas sent the announcement earlier today: the GNOME project will move to git. This announcement highlights the recent steps that lead to this decision: the DVCS survery and the analysis of its results. Of course, all this was discussed on mailing lists (okay, it quickly went from discussion to flamewar ;-)). " "It's been many months since the Linux Kernel developers conference, where the linux-staging tree was discussed and role changed. It turns out that people are still a bit confused as to what the staging tree is for, and how it works." "Well, ‘free-day’ to Python and MySQL series, I will talk about Susestudio, a service developed by Novell. If you don’t understand, I will explain: Suse Studio is a service which you can use to create your own flavor of openSUSE. You will do everything online, without installed programs in your computer. And the best thing is: its free and easy to use. Really. You can create a openSUSE flavor in a few steps." Luca Beltrame (einar77): KDE Brainstorm is live! "It’s finally there: KDE Brainstorm has been launched today! Like this, it will be possible to propose features and have them voted by the community, and then submit the most voted requests to the developers. Every feature request is screened prior to posting, so duplicates, spam and flames are unlikely to occur. There is no guarantee that the voted upon features will be implemented, but as opposed to individual postings, this approach reduces the noise a lot, and allows a better communication between the “two worlds” (users and developers)." "User Poll on the openSUSE's Developer Friendliness. This could prove encouraging to the Development team." "KDE4 is starting to bring much positive feedback. @cabernet suggest a slow but sure maturing. See how other users view KDE4's progress. Is it really SLOW??" "A very useful contribution from @lwfinger - aka 'Larry'. This has to be one of the most common issues for users. Larry holds your hand through this nicely prepared guide." Forum Guests - who are they? "A interesting topic which seems to have many perplexed. Just who are these Guests and why do they visit the forum in this way? Find out more here"
What do you think about Cloud? "Varying opinions can be seen from users comments here. Quite a topical subject given the direction being taken here by some vendors." "Nobody questions whether Mac OS X is ready for the desktop. With GNU/Linux, however, the story is different. For over a decade, columnists and bloggers have been explaining how GNU/Linux isn't ready for the desktop -- and, despite all the progress in the operating system over the last ten years, the arguments haven't changed much. Moreover, increasingly, they're outdated when they're not based on complete ignorance. In fact, I often get the impression that those who pontificate on GNU/Linux's inadequacies have never tried it." "freshmeat.net provides an invaluable service to the FOSS community by allowing us to keep track of new projects and new releases of existing projects in a single central location (at least for most of them). As such, it is especially useful to packagers." lists.opensuse.org has 36812 (+78) non-unique subscribers to all mailing lists. The openSUSE Forums have 24788 (+410) registered users - most users including guests ever online was 7771, 02-Dec-2008 at 17:31. 2541 (+30) of 5616 (+145) registered contributors in the User Directory have signed the Guiding Principles. The board has acknowledged 263 members. The Build Service now hosts 5558 (+46) projects, 61467 (-176) packages, 10713 (+127) repositories by 13229 (+184) confirmed users. This page was last modified on 8 July 2010, at 11:11.